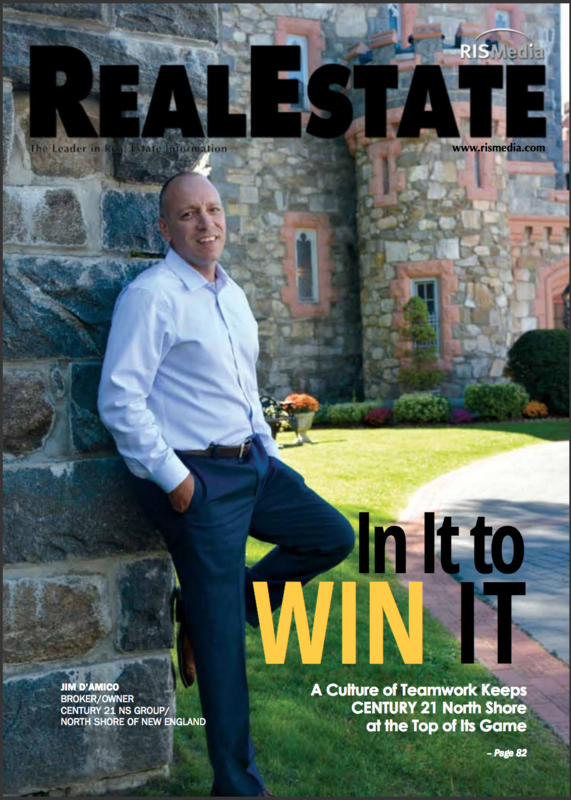 Recently, the broker/owner of CENTURY 21 North East, Jim D’Amico was featured on the front page of RISMedia Magazine. RISMedia, founded in 1980, is the most definitive source for news and information for real estate's most profitable and productive professionals – and all those looking to gain a competitive edge. In the article, Jim discusses the culture of CENTURY 21 North East and how it has been the driving force for the firm’s success. He also discusses the vision and strategies that help to motivate continued growth. Over the last 25 years, Jim has overseen exponential company growth and billions of dollars in sales. In 2017, CENTURY 21 North East sold more than $1 billion in real estate transactions. Jim credits his agents as a driving force in the success CENTURY 21 North East has seen.